For pets up to 130 pounds. The beautifully designed, high-quality Freedom Pet Panel For Sliding Glass Doors inserts into the frame of your sliding glass door and automatically adjusts to the proper height. The panel can be installed in the left or right door, and it has an UltraSeal energy-conserving flexible flap system to reduce energy loss. 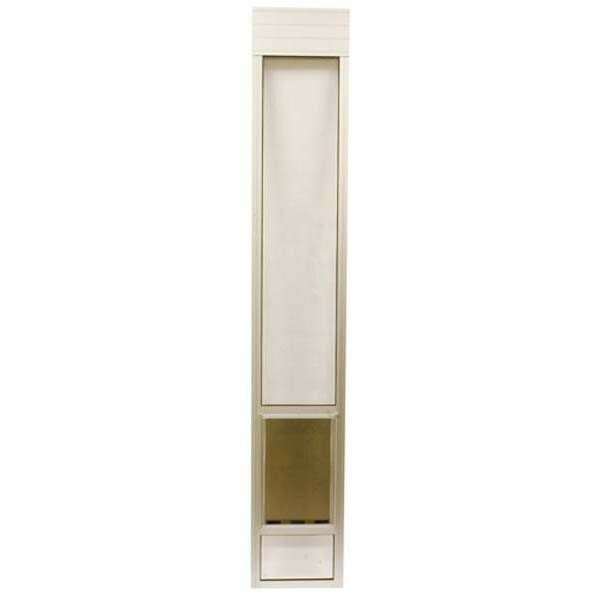 Fits Patio Doors From: 76.75" to 81"
All Patio Panel Pet Doors come with a choice of a White, Satin or Bronze Frame.